Direct consultancy advice and support for palliative care patients in conjunction with the local specialist palliative care services in the East Hume Region. 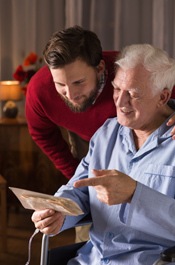 Indirect advice and support for General Practitioners and other health care providers requiring support with the management of people with a life-limiting illness. Monthly palliative care clinic in Wangaratta and Wodonga to enable review of complex palliative care patients. For referral to the clinic please contact your local specialist palliative care service. 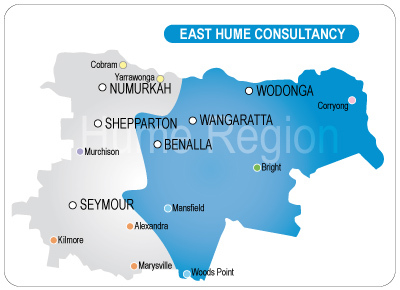 Case review and support for specialist palliative care services in the East Hume region. Coordination of an annual palliative care education and training calendar outlining education and training opportunities in the area. Involvement in palliative care quality improvement and research initiatives at a local, regional, State and National level. Rural cities of Benalla, Wangaratta and Wodonga and the Shires of Alpine, Indigo, Mansfield, Strathbogie and Towong. © 2019 Hume Region Palliative Care Consortium.